The JR Alternative to the Perdomo X Torpedo cigar is the perfect choice if you’re looking for a really great, top-quality premium cigar for much less. Handmade with the long filler clippings from some of the best smokes in the world such as Macanudo, Montecristo, and Excalibur, these cigars are close in size, flavor, and strength to the name brand ones. 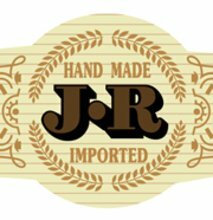 Buy a bundle of 20 at JR Cigar and see why the JR Alternative cigars have been our best-selling brand for more than 3 decades. Ok cigars from a now only ok company. This used to be a great company with good alternative cigars. I feel that both have gone downhill. Packages no longer ship on time, per their stated shipping policies, calls into customer service are answered by inept personnel. And the JR alternatives aren’t as good as they used to be. Unusual tastes in part of the bundle with a gasoline type finish. The draw and construction are both superb though. Been ordering this cigar for years but the last delivery of these cigars was subpar. The first 3 unraveled and I’m thinking of sending them back. Very disappointed. I REALLY, REALLY, REALLY want to be a fan of a JR Alternative yet haven't found one I've enjoyed. Generally my go to cigar, however - . Hard spots aren't unusual effecting the draw and my temper. These are great cigars. My favorite JR Alternative. I've smoked about 10 of these now and they are excellent. I chose these because of the reviews about the draw. I just got done with a bundle of Excaliber 1 (JREX13) and they are nice and quite tasty but the draw just made me work a bit harder than I like. These cigars, while they don't last quite as long have an excellent draw and slightly milder flavor but still great in my book. I work 2nd shift and always have a cigar and coffee when I get up in the morning. These sticks are a great way to wake up slow and watch the sunrise. The only reason I didn't give it a 5 on the consistency is that I'm only about halfway through the bundle. Excellent. Actually, I was pleasantly surprised by the quality and consistency. A steal at the price . 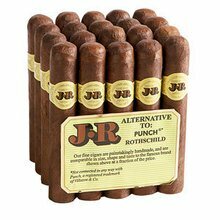 I just ordered another bundle of the Jr perdomo's alternatives. It has a great medium-bodied taste and burns beautifully. I really enjoyed the Ashton magnum. Great smoke, great price. smooth draw great aroma stays lit all the way to the band. I will reorder. nice mild smoke with a good flavor. most draw well and burn evenly. good value. One of the Best Alternatives to date!! One of your best Alternatives ever!!! The flavor is unbelievable. I've seen the comments made and can honestly say have had no issues at all! My favorite ! Please don't run out again! Great cigar for the price. Enjoy the flavor and the draw on 99% of them is good. This is one of my "go to" cigars fro golf.